As the global garment industry stops to reflect on the tragic events that took place in Bangladesh exactly five years ago today (24 April), it is also a time to consider what has changed, what hasn't – and what still needs to be done. Here we share the views of a number of industry executives and stakeholders on progress so far. 192 companies have now signed the '2018 Accord' or 'Transition Accord' Bangladesh worker safety pact – with Holland House Fashion and ICA Sweden among the latest to commit. Here we list the signatories so far. Despite dramatic gains in building safety in Bangladesh since the Rana Plaza disaster, the violation of workers' rights has increased and the squeeze on suppliers has intensified, a new report has found. Five years ago, the Rana Plaza catastrophe made Bangladesh notorious – and turned our industry into a pariah. Today, our reaction to the catastrophe has helped Bangladesh become a beacon for how poor countries can pull themselves out of poverty and, in the process, transform human rights and gender equality. All through clothing exports to the West. You will probably never again help achieve anything so extraordinary. 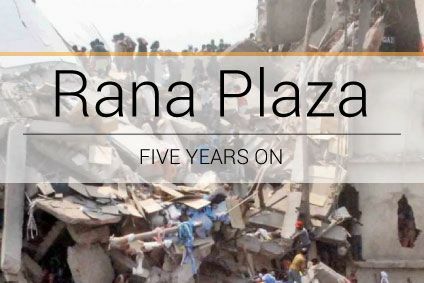 Every year on 24 April, I browse through a poignant online memorial for garment workers who died in 2013 in the Rana Plaza building collapse in Bangladesh. The website is a collection of national IDs, passport-size and other photos—a man posing with a phone, a woman against a backdrop of flowers, and appointment letters of workers. It's a strong reminder of the human cost of negligence in the garment sector. As one of the biggest garment exporters in Bangladesh, with a commitment to the country that goes back more than 30 years, Epic Group chairman and CEO Ranjan Mahtani knows better than most how the industry has reinvented itself in the wake of the Rana Plaza disaster. Here he tells just-style why his belief in Bangladesh means the company's investment in the country continues unabated.